Anything I'm enthusiastic about often ends up influencing my writing. Sometimes that's unintentional. Sometimes it's not. 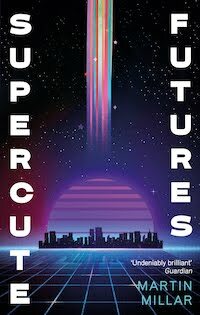 The impact of anime and manga on my new novel Supercute Futures was quite deliberate. I've enjoyed anime and manga for a long time so I thought I'd attempt to write something like that. Or, at least, something that reflected the pleasure I've received from these genres. That's how Supercute Futures came about. I'm not copying anyone else's plot or characters, but I was entering the same sort of universe. That list misses out a lot of popular favourites, though it's not a list of obscurities. These are well-known titles. I'm far from being an expert on the subject, hunting out hidden gems. How each individual title might have influenced me is difficult to say. The heroines of Supercute Futures, Mox and Mitsu, do have happy childhood memories of playing at Claymore, running around in a garden with big cardboard swords, but there's no swordplay in the scientific world of Supercute. There's a lot of swordplay in Shakugan no Shana and Bleach too but it wasn't an avenue I wanted to explore. 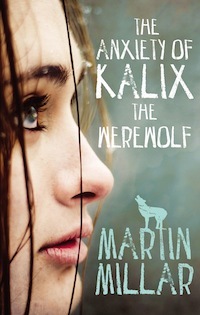 (Although in a previous book, Lonely Werewolf Girl, Vex is a Shakugan no Shana fan, and I have eaten melonpan because of that manga.) I suppose Ghost in the Shell was more of a direct influence, with its comprehensive take on cyberpunk. I've enjoyed Ghost in the Shell in all its incarnations - the original films, Stand Alone Complex, 2nd Gig, Arise. Even the Hollywood version was a decent attempt although, being Hollywood, it wasn't as intelligent as the Japanese originals. I like cyberpunk anime though I haven't found anything to compare to GITS. Psychopass was enjoyable, anyway. I've thought a lot about the gigantic world of Blame, with its net terminal genes, and all the characters who appear briefly, never to be seen again. (What happened to Toha Heavy Industries? And should a man my age buy a Toha Heavy Industries t-shirt?) I've watched Cowboy Bebop many times. I love its populated, terraformed solar system and its a great story with great characters. Fantastic music too, from Yoko Kanno. I don't know if I'm looking forward to the live action version because they might well mess it up, but who knows, maybe they'll surprise me. Another favourite is Lucky Star, which made me laugh. Though that was a four panel, or 4-koma manga, it translated well into longer anime episodes. Now I'm wondering how I could incorporate that 4-koma format into a novel. And then there's things like K-On. I don't really see that filtering through into my books, though the girls who meet their friends in virtual space in Supercute Futures might carry some echoes of Ho-kago Tea Time. 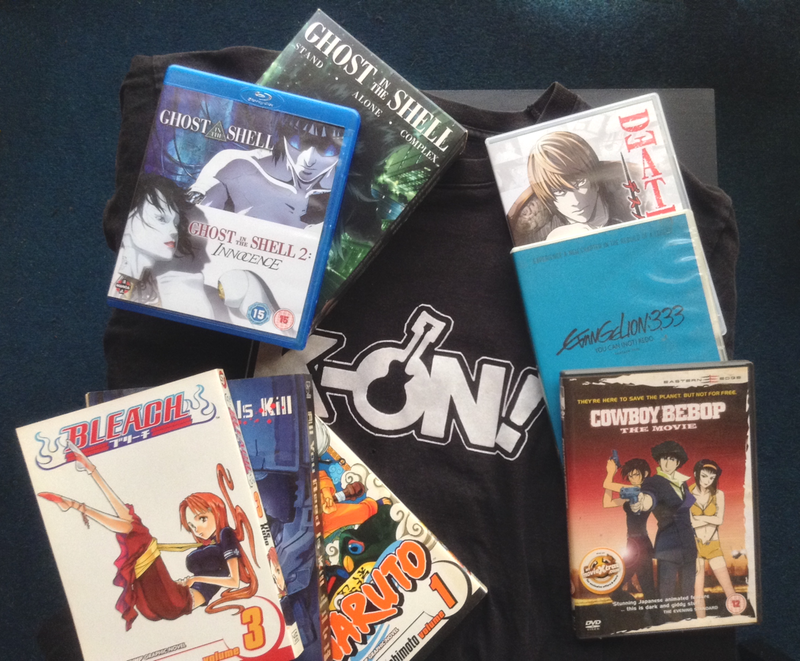 (And I do have a K-On t-shirt) Recently I've watched anime by subscribing to Crunchyroll, and sometimes on Netflix, and I've bought anime and manga over the years because I like to support the artists whose work I've enjoyed, and who've influenced me.